We will pick you up in the morning in a black Mercedes (can pick up in thecity or inner suburbs of Melbourne) and then transfer you to the helipad near Crown Casino. 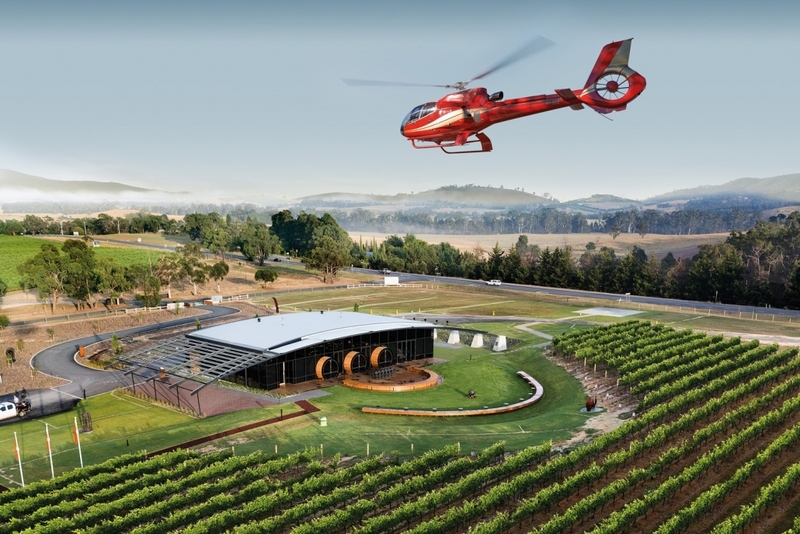 You will then board the helicopter and, rising from the city, enjoy a spectacular 25 minute helicopter flight before landing at Laventine Hill Estate. You then will be greeted by anexperienced guide and transported in a Mercedes to Domain Chandon. choose a full flute of the wine of your choice to enjoy. tasting here will be in a seated location with a spectacular view. itinerary of this ultimate wine tour. An incredible 5 Course Degustation. With two Chef’s Hats to his name, Teage Ezard is one of Australia’s most celebrated chefs. artistry in the best possible way. Each mouthfull will surprise and delight.